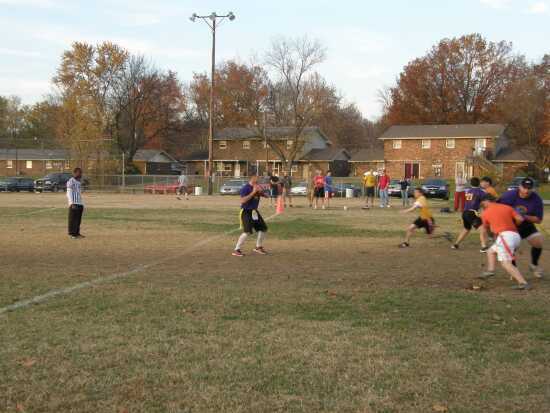 The Cape Girardeau Parks & Recreation Department would like to congratulate the Adult Flag Football League Regular Season Champions and Playoff Champions. Powers Electric took first place in the Division I playoffs, and Kohlfeld/Coors Light finished at the top of the Division I regular season standings. Bethel won the Division II playoff championship, and the Luckey Veneers were the Division II regular season champs. We would like to congratuate these winners, as well as, all 16 teams on their effort throughout the season.